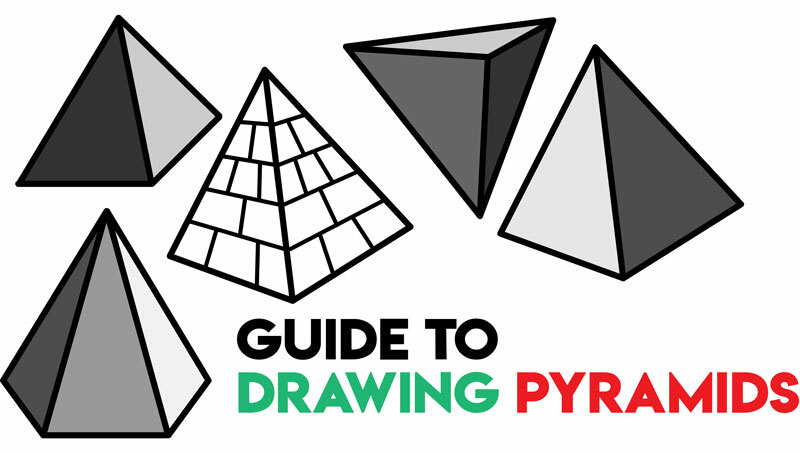 Here is a huge guide to drawing pyramids from all different angles and viewing points. I also show you how to draw a perfect pyramid, using a cube. There is also a pyramid drawn from above (aerial view) that will help you as well. I will show you what these pyramids look like with different shadows, as well as how to draw a pentagonal pyramid, with many sides.